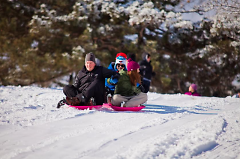 The yearly celebration of seasonal activities in our city parks will kick off its fifth annual celebration at Richmond Park, concluding on Sunday with the popular Crazy Cardboard Sled Race. On January 23-25, WinterWest festival will return to Grand Rapids’ west side for its fifth year running. The event, which encourages families and children to come out and enjoy city parks and winter activities, will be held at Richmond Park (Richmond Street between Tamarack and Preston Avenues). 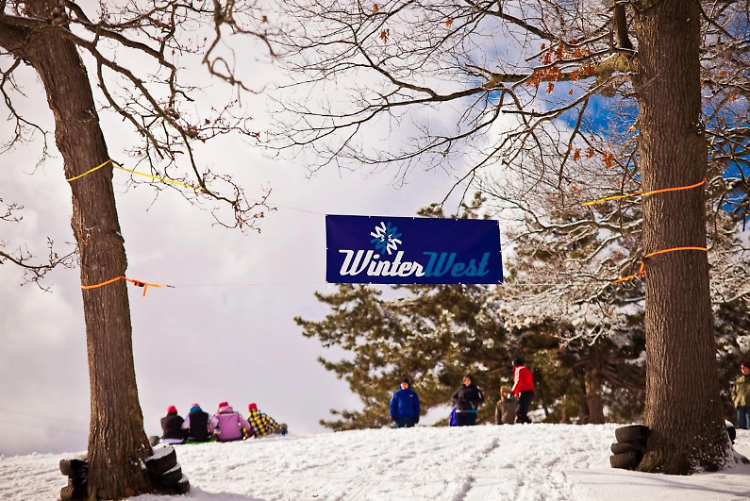 Past years have seen WinterWest run for three consecutive weekends. This year, planners have arranged for it to coincide with WGRD’s Pond Hockey Classic, which is relocating from its previous location at Reeds Lake. 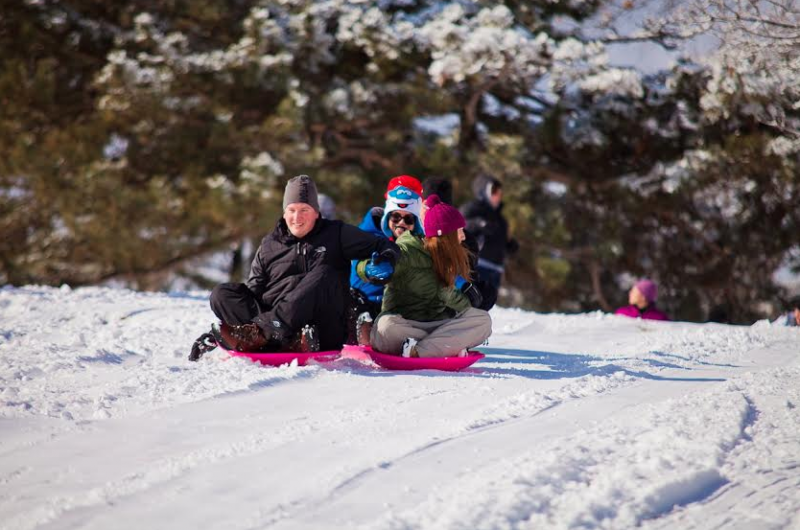 The popular Crazy Cardboard Sled Race will take place on Sunday, January 25 at 2 p.m. The race is sponsored by Grand Rapids Public Schools and will feature two divisions: a family division and a corporate division. Family registration is free and corporate registration costs $35. Participants in the race should arrive 15 minutes prior to the start of the race, and stage at the warming shelter. The warming shelter will also be open with hot chocolate and coffee available to the public. Sledding competition rules and guidelines can be found on the registration site. “We look forward to seeing the crazy sleds that families and companies create, not to mention the opportunity to have hockey available at both the Richmond Park Pond as well as Lincoln Park with the rink. The West Side will definitely be the place to be,” says Michael Lomonaco, Marketing Director at Open Systems Technologies (OST) and WinterWest committee member. Sponsors for the event include OST, Rockford Construction, Swift Printing, Long Road Distillers and Chemical Bank. “WinterWest has served as a catalyst to bring people to our parks during all four seasons. We are excited to now have rinks available in three of our city parks as well as pond hockey available at Richmond Park. WinterWest is one of those events that helps our community imagine the endless possibilities thriving parks can to do strengthen neighborhoods,” says Steve Faber, Executive Director of Friends of GR Parks. The other two parks to get temporary ice rinks are Wilcox Park in Eastown and Cherry Park in East Hills. Both will celebrate their openings on January 24 and 25.